Microsoft announced Xbox Play Anywhere at E3 last month. The program allows participating games to be played on both Xbox One and PC when bought digitally, with season passes, game add-ons, in-game unlocks, achievements, save files and consumables shared seamlessly between the two platforms. Now the company has announced September 13 as the official kick off date for Play Anywhere along with a list of supported titles. The service requires that you have the Windows 10 Anniversary Edition update on your PC, which is expected to arrive in August, as well as the summer update on your Xbox One console. 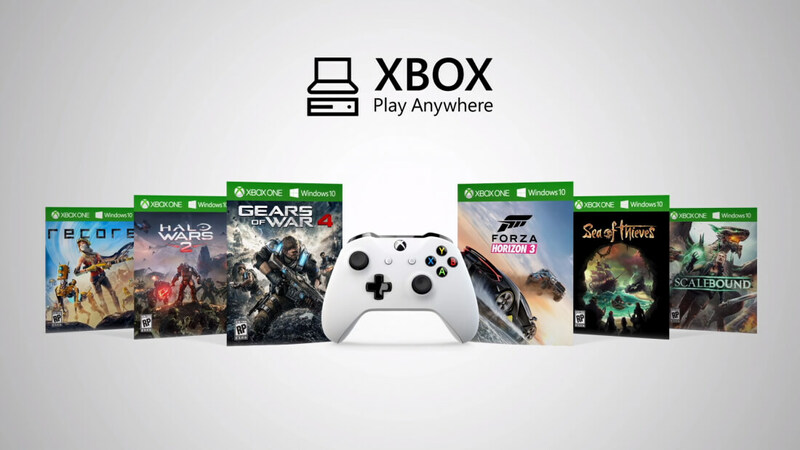 Only games purchased digitally will be eligible for the program, with the Xbox Store displaying a Play Anywhere logo in games that support the feature. Microsoft is planning to bring all of its future first-party games to Windows 10 and Xbox One as part of the Xbox Play Anywhere initiative. ReCore, an upcoming action-adventure video game developed by Comcept and Armature Studio and published by Microsoft Studios, will be the first Play Anywhere title launching on September 13. Notably, Play Anywhere titles will reportedly cost the same as a regular game, so you get to play on either platform along with any extra content you buy for it at no extra cost.